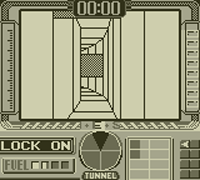 A 3D action game on the Game Boy, from the developers of Star Fox. Alien forces are attacking an Earth colony on the planet Tetamus II. You are the pilot of the Space Tank VIXIV, sent to Tetamus II to destroy the alien infrastructure and protect the colony by completing missions given to you by the General. The Tetamus II map is divided into 8 areas, which you can drive across, or warp through a network of tunnels. Satellite Stations can be used to restock missiles, shields and fuel. Your tank also has a high speed mode, and by driving over pyramids, you can launch the VIXIV into the sky. In Mission 4, you have to rescue scientists from alien bases. 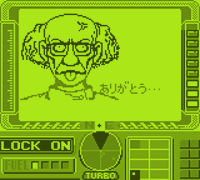 Whenever you find a fake scientist they appear with their tongue sticking out and thank you. If you wait on this portrait screen for a few moments, a strange tune will play. This is Kazumi Totaka's Song, a secret track hidden in nearly every game composed by the Nintendo composer. This is the earliest known appearance of the song in any game, predating the better known appearance in Mario Paint by 2 months. To find out about all the known appearances of the song, check out the Kazumi Totaka's Song Guide.